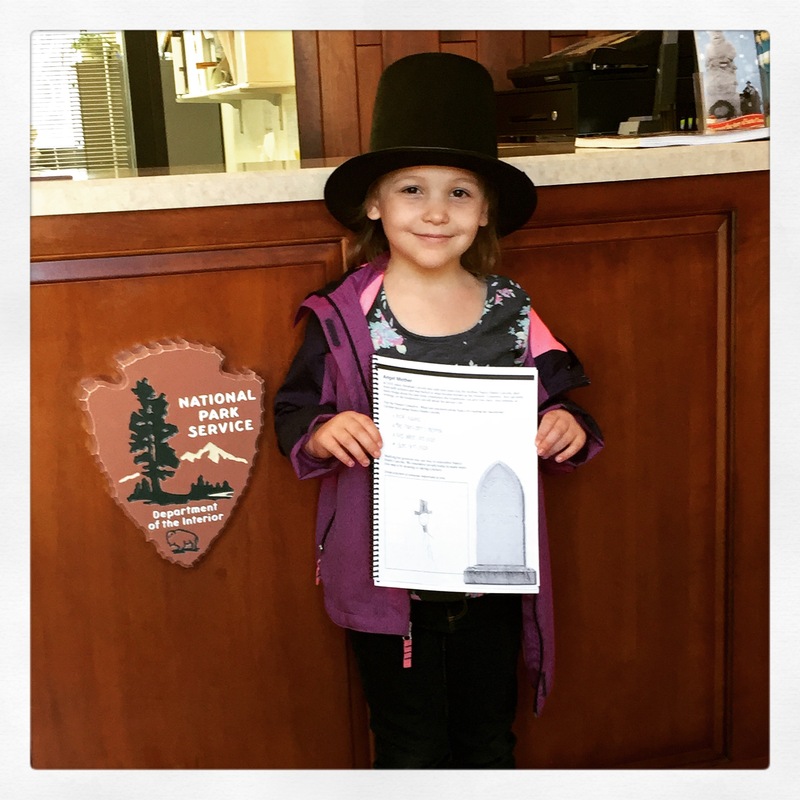 Visit to Abraham Lincoln Boyhood Home National Memorial | Bonjour, amigo! ← The Scottish festival in Alma, Michigan was fun! I’m a Junior Ranger! And I have an Abraham Lincoln hat! On the way back from French Lick, Indiana, we stopped by Abraham Lincoln Boyhood Home National Memorial. It’s also in Indiana. I had my camera and took lots and lots of pictures there. I also took a picture of Abraham Lincoln’s mother’s grave site. Nancy Hanks Lincoln died because the cow ate a poisonous plant and she drank the cow’s milk and she died. Back then they called it milk sickness. A few months later, Abraham Lincoln still missed his mother. But then one day, Abraham Lincoln’s father came home with a new wife, Sarah Bush Johnston. She had the same name as Abraham Lincoln’s little sister – Sarah! There I learned a lot of things. I learned enough to become a junior ranger! 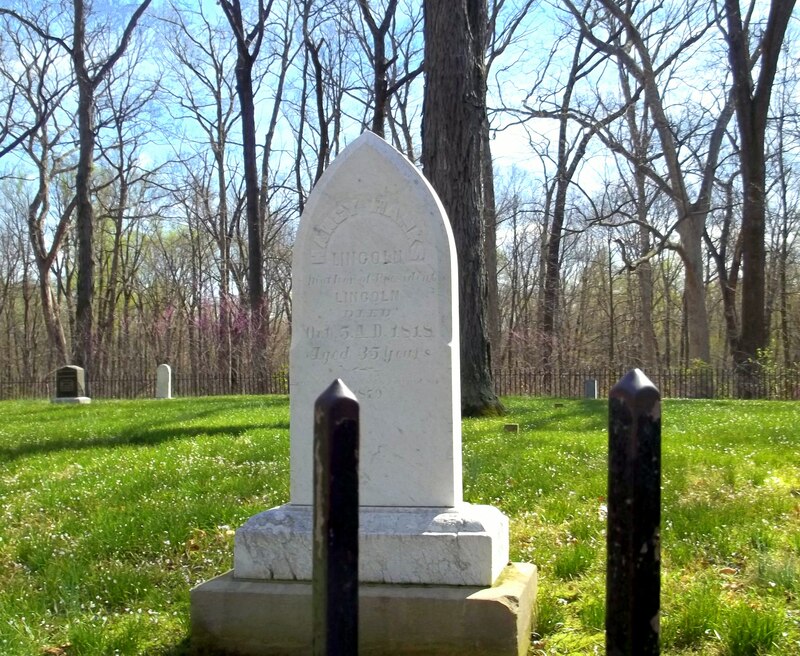 Abraham Lincoln’s real mother’s grave was on the top of a hill. 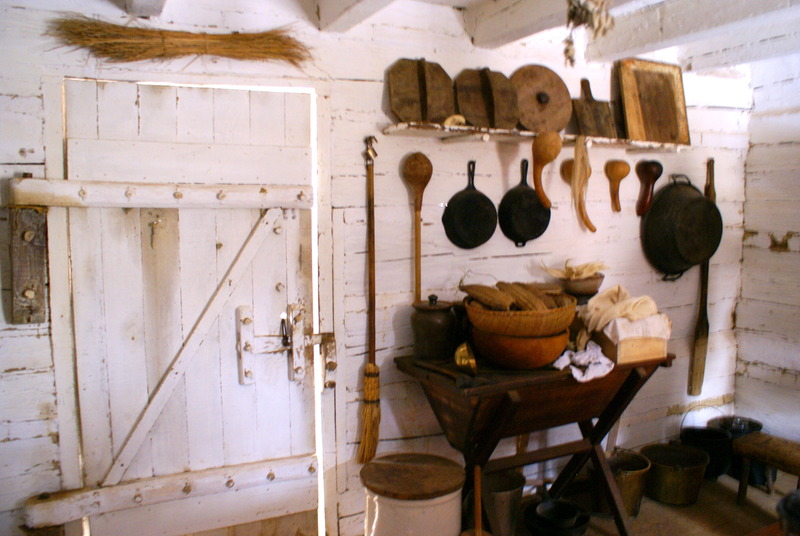 After we saw that, we walked down a trail to the farm and we went into the cabin. And also, I got to climb up a ladder in the cabin to see what was up in the loft. That was really fun! 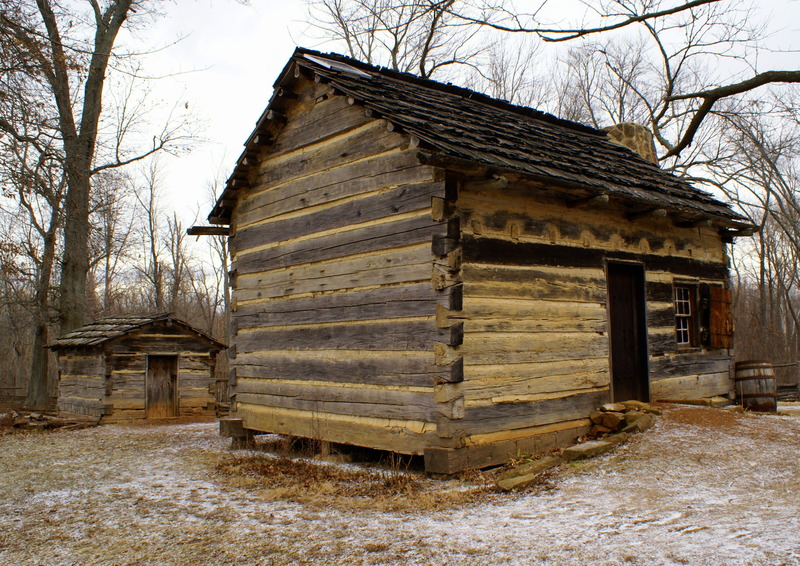 The cabin was made to look like the one Abraham Lincoln lived in when he was a boy. It wasn’t the real cabin he lived in, but we saw the foundation of the real cabin. That was pretty cool. And we saw where the fireplace was. The cabin was pretty small. 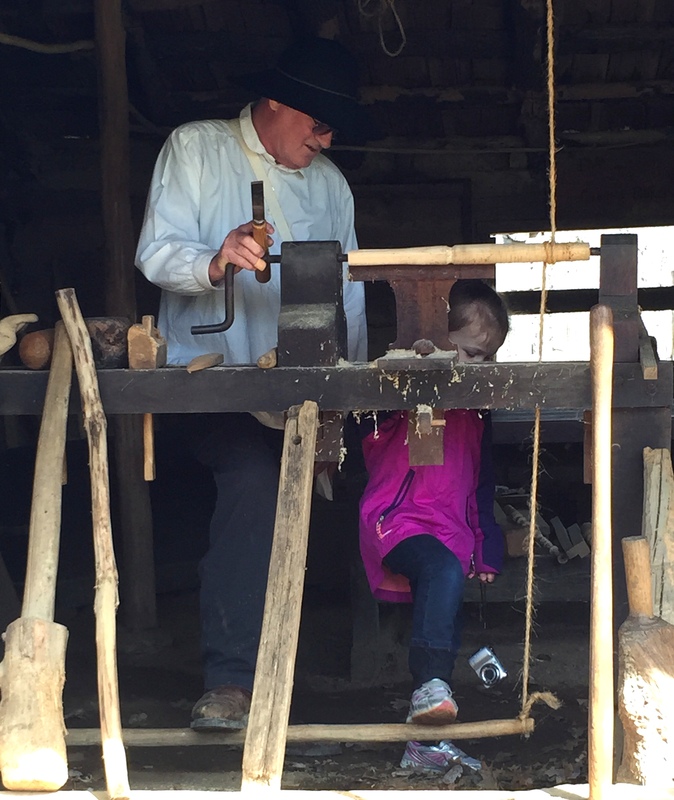 Also on the farm, we saw the woodworking shop and I got to press down the pedal on the lathe. Here is something really funny. When my mommy visited the farm without me, they were making syrup. They set it out of the cabin and a mouse got in it! Mommy told me about that. I also got to see how they cured meat back in Abraham Lincoln’s time. Abraham Lincoln’s mother’s grave. I took this by myself! I love Abraham Lincoln so much and it was a lot of fun to see where he lived as a boy. Next, I hope Mommy takes me to Washington, DC, to see the Lincoln Memorial! Here are some more pictures from there that my mommy took. This entry was posted in Abraham Lincoln, Indiana, My trips. Bookmark the permalink. Not only did I not know that Lincoln’s mother died when he was young, I also did not know you could even die in such a fashion. Thanks for teaching me something new.